Radix DLT, a fast, simple and limitless ledger which provides a scalable alternative to Blockchains and DAGs, today announces the inception of the Rad Token, an alternative to existing cryptocurrencies. The next step in the evolution of crypto, the Rad aims to solve the significant issue of volatility and lack of stability which, to date, has prevented currencies such as Bitcoin or Ethereum from being used in making long term personal or business decisions. There have been a number of attempts at creating stable cryptocurrencies, as well as several attempts to make scalable DLT. Radix has taken the unprecedented step to build both of them, making not only a technology the world can rely on but a decentralized currency as well. This is because agreeing to get paid in a specific amount of Bitcoin 1 year, 1 month, or 1 day from now involves at least one (or both) parties taking a bet on the future value of Bitcoin. This price volatility has benefited professional traders but does not allow for mass market adoption, as it becomes impossible to work out the cost of things in a fixed amount of crypto. The average man on the street doesn’t want to speculate on his income; he just wants to know if he can pay his rent with it when he gets it. 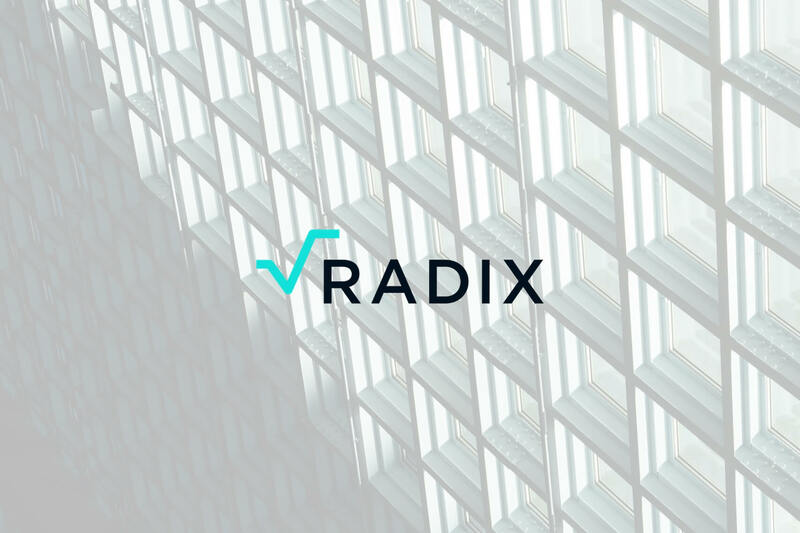 In order to achieve this level of stability, Radix has created an automatic economic system which uses an internal market to trade the Rad against a special token, called the Radix Index Token. This Index Token is backed by a basket of tokens built on Radix, and acts like the system’s consumer price index. The price of this token in Rads is how the system knows if the Rad is too expensive or too cheap. When the price of the Rad rises, the system automatically mints more Rads, selling them in exchange for Radix Index Tokens until the price of Rads stops rising. These index tokens are stored in the Decentralized Reserves, which are auditable and transparent on ledger, held and controlled by the automatic Radix Economic Algorithm, rather than by any entity or organization. If the price of the Rad gets too low, which can occur if there is a drop in demand or a large number of Rads has been sold cheaply, the Economic Algorithm then uses the Reserve to buy back and burn Rads, creating a lower price limit for the Rad. The Radix Economic Algorithm only monitors Rads priced in Index Tokens on a Decentralized Exchange, and will only hold Index Tokens in the Reserves. All other internal and external markets and pairs are ignored by the algorithm. The Rad token’s purpose is to make it possible for the cost of using decentralized public networks predictable, and to create a true, decentralised, non-speculative store of value. Available later this year at the launch of the Radix DLT platform in Q4, the token will available to purchase directly from the system itself, rather than via an ICO. To become a critical piece of global infrastructure you cannot just be technologically better, you also need to make sure the cost of using your platform is predictable. Otherwise, why would any company choose to put key parts of their business or services on that infrastructure? The better we do at creating reliable internal money, the better we do at creating money full stop. The world’s largest asset classes (real estate, stocks, bonds, and cash), are just buckets we store value in. Are you ready for a wake up call? It’s the start of the Post-Industrial era already – this value, in the hundreds of trillions of dollars, seeks to be stored online in an Internet-native form. So as an analyst, and an investor, I look for networks that can reliably store value. It’s refreshing to see the Radix not only understand this but has designed a genuinely innovative approach. Instead of using blockchain, Radix started from scratch with a completely new design so that every person and device in the world could use Radix simultaneously without centralization or compromise. Radix DLT is the fast, simple, and limitless ledger with the core mission to give anyone, anywhere, friction-free access to the digital economy. Radix is a scalable platform for building and deploying decentralized applications, tokens, assets, and coins. Radix DLT presents a remedy to the current shortcomings of blockchain, namely that blockchain is; not scalable is difficult to build on and is price volatile.